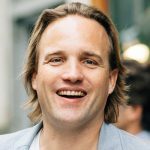 Sebastian Meyen, Chief Content Officer at Software & Support Media, will welcome you and introduce you the JAX Finance and JAX DevOps program. 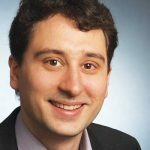 In the opening keynote Eric Horesnyi will talk about the actors that lead the change in the FinTech movement and the so-called industry disruptors. He invites you on a journey to discover what’s under the hood of this ongoing revolution and to debunk some myths concerning the future of banking and the culture of unicorns. He will also discuss the tech part of the FinTech movement and how it revolutionizes every part of the finance industry and every actor involved. His keynote is followed by a panel discussion, where we will try and find out whether developers could lead the change or not and how they can benefit from the fact that IT is now at the heart of all businesses. Junk goes in, junk comes out. 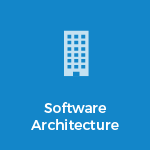 Even the best application architecture is brittle in the face of misconfiguration. And yet, even as applications grow ever more complex, we are failing to hold our configuration to a higher standard. Best practise is often avoided due to a combination of time pressures and the complexity of formally specifying configuration rules. A rebalancing is required. What if it were possible to produce an advanced PoJo model, documentation and diagrams in minutes? What if there existed tooling, including an editor, to support common configuration use-cases? What if changes to the configuration model were trivial to maintain, with directions given where changes in source must be made as the model changes? This session will discuss current configuration technologies before moving onto detailing an upcoming Java-centric modelling technology that aims to simplify application configuration/modelling. Chris is a clean code enthusiast with a decade of experience in investment banking IT. 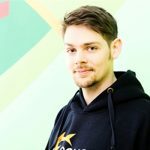 Chris is active in the development community, being significantly involved in the recent 6.1 release of JavaCC, co-maintaining the AceGWT project, answering questions on stack-overflow, and also has a tech blog. He has a very low opinion of reducible complexity, an obsession which led him out of his comfortable existence and into the arms of independent development. Since 2011, Chris has been working full-time and alone on a project which he hopes will be of interest. Analyzing financial transactions data of a large number of portfolios and hundreds of millions of transactions and quotes is a demanding job for any computing environment. Analysis systems don't necessarily have extremely low latency requirements such as trading systems do but have to provide low user response times. Applying massive parallelism over CPU cores or even clusters of machines doesn't help much if you want to achieve response times of a few milliseconds. Unleashing the extreme power of todays CPUs with a stream oriented architecture - which is optimal for utilizing caches and branch prediction of modern CPUs - becomes the corner stone in such systems. The talk presents insights into a system that is based on the idea of multi version concurrency control (MVCC) using Apache Kafka and binary in-memory data representation. Learn how to achieve speed improvements of a factor of 100-200 times compared to classic object oriented design. 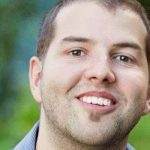 Marcus Gründler is a technical consultant and software architect at aixigo AG in Germany. With more than 15 years of expertise in developing and managing international software projects for financial services, he is currently actively developing high performance portfolio analysis software. 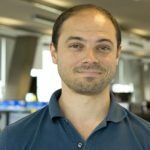 Marcus combines software engineering skills with the ability to bridge technical and business backgrounds. These skills are based on the experiences from software projects in the European banking sector such as Citigroup, Commerzbank, DAB Bank, Cortal Consors and several more. 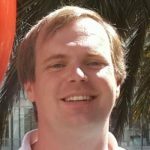 His current field of interest focuses on the, maybe surprising fact, how efficiently and well certain BigData problems can be solved in Java. Our brain craves for information that changes at least twice a second. This should be enough to explain why most recent successes (Waze, Uber) present a real-time UI. In Finance, time is money, and real-time is real money: offering real-time UX also changes market dynamics, by short-cutting insiders that can no longer benefit from information assymmetry. All this is made possible by a conjunction of technologies that have now reached maturity: reactive frameworks, streaming, standard data format -even for differentials, and HTTP/2 will only accelerate this trend. As an illustration, I will review an example of an end-to-end event-driven application, then review Devops recipes for trunking APIs. Dev and product teams in Financial Services have a lot on their shoulders these days. Not only do they have to develop a great product and its supporting infrastructure, but it needs to be fast, performant, it needs to scale and work on the cloud. Most importantly it needs to be secure. Today’s hackers are not just breaking into servers, they’re attacking how you communicate with your infrastructure—exploiting the billing system, user signup and overall API infrastructure. The session will show how Varnish Cache, the open source HTTP engine delivers fast, reliable web content at scale and provides a critical layer of protection for an API architecture in Financial Services. Developers, architects, product managers will learn how to build security into modern, highperformance API architectures. 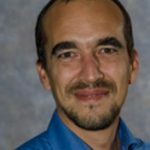 Federico Schwindt has more than twenty years of experience as a multi platform developer with particular focus on maximizing system performance, efficiency, response time, and overall system security. 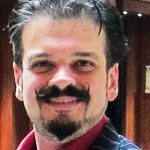 Federico is currently a senior software engineer at Varnish Software and since more than seventeen years a developer for the OpenBSD project. Prior to Varnish Software he worked six years as technical team lead for RBS Global Banking & Markets, and a myriad of other companies including Core Security, famous for the SSH insertion attack. Fidor Bank introduced community banking. We embraced Crowd Funding, Bitcoin and Ripple. And we were the first bank to offer open RESTful APIs with OAuth2.0, to give direct access to our services and customer base. Why? Because Fidor Bank is a fully licensed online Bank with both a user oriented and tech driven mindset. 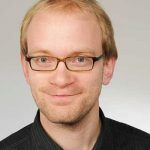 Stefan Weiß, responsible for the API strategy at Fidor will talk about the cultural and business aspects of API banking, and sharing his first hand real live experiences. And he will dive into the technical and procedural aspects of building and providing APIs in a highly regulated environment. If you're about to plan or implement your own Bank's API strategy this presentation will provide valuable insight. Since the early 1990s Stefan Weiß has been an Internet entrepreneur and advisor. He studied Information Technology and Innovation Management in Munich and London. After selling his first company, an Internet Service Provider, he started platforms like music.de and pizza.de. Recently he worked in the areas of virtual worlds, social games and monetization. Since 2013 he guides strategic topics around payment and banking for Fidor Group companies. At the moment he is responsible for the API and App Store strategy at Fidor TecS. As DevOps matures from craft, through trade, to a science, we are starting to work on distilling out how we can make DevOps' implementation and the organizational transformation repeatable and predictable, across all kinds of environments. As part of that search, it is time to start looking at humanity's other "operational" endeavors and see what is applicable to DevOps. the national airspace system. We will look at specific aspects of how controllers (operations teams) work with pilots (developers) to safely move millions of passengers (customers) every year, with an incident rate that would make any development shop jealous. In aviation, harsher, more crowded, and inclement conditions all require additional training: an instrument rating. Similarly, developers and operations teams buying in to "DevOps culture" is a great start, but it's often hard to nail down what that actually means. 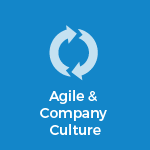 We'll examine the specific behavioral and operational elements of this other complex system that has been tamed and look at what's applicable to implementing a DevOps culture within our own industry. Finally, we'll examine some of aviation's hard-learned lessons, and look at ways we can leverage this knowledge, and avoid those classes of pitfalls. 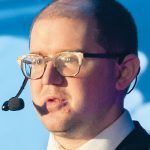 In 2012, he founded Release Engineering Approaches, a consultancy incorporating a host of tools and techniques to help organizations realize how they can "Simply Ship. Every time." He's worked across a number of industries, from financial services to cloud-based infrastructure to health care, with teams ranging from 2 to 2500 on everything from tooling, operational analysis and improvement, team culture transformation, and business value optimization. He regularly speaks internationally on release engineering, DevOps, IT operations complexity, and human factors. Workflow engines can do interesting things: wait for events, correlate events, allow you to implement multi-step processing logic with sequence counters, fork-join, mutual exclusion, timeouts and much more. They can even keep a complete history of every processing step performed. However, the current generation of workflow engines is increasingly unable to deliver the performance required by today's applications. At the same time, these engines are often bloated with high level features that many users do not need. I believe that we can do much better. The next generation workflow engine is 100 times faster. It is horizontally scalable and delivers 100% uptime. Yet, It is a lot easier to use and comprehend than current generation engines. Come to my talk and see. I'm passionate about BPM with a particular focus on process automation and process engines. My mission is to deliver the best possible experience to developers who want to use BPM technology in their applications. 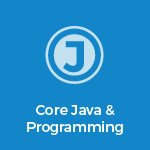 I'm a Java EE 6 aficionado and believe in polyglot technology stacks based on open standards. I like cooking, eating, traveling, drumming and -ing words. This presentation gives an overview of the technical solutions for the orchestration of Kubernetes and Docker based services. This means rethinking your IT-business in every area. TocCreate, maintain and modify many machines and containers on your developer notebook, in your data center or the cloud is a challenge. Our applications are constantly being expanded and adapted to different use cases. The Kubernetes and the Docker ecosystem offers promising tools for service discovering, automatic scaling, failover and deployment. The talk presents and discusses the practical benefits of the Kubernetes platform. Peter is a infracoder, system architect and coach of numerous web systems. His special interest is in the development of complex information systems, including the design and implementation of test-driven processes. Since 1997 Peter Rossbach is active in HTTP server and web container. He is a committer on the Apache Tomcat project and member of the Apache Software Foundation. His special interest is the design of provisioning, monitoring and analysis systems for complex infrastructures.  With the bee42 solutions GmbH he realized appropriate infrastructure products and offers training based on the Docker ecosystem current web technologies and cloud platforms. The digitizing of disparate data has led to a new wave of "emerging data" in the industry, applicable specifically to existing risk and trading models. Translating these data into repeatable results is the new frontier for many asset managers and hedge funds. The discussion will draw specifically from examples of earnings crowdsourcing, satellite imagery forecasting, and social data as it applies to investor sentiment and volatility modeling. We will also cover the diversity of methods used to deliver these data sources and what is considered the new standard for asset managers when it comes to the consumption of data. Pierce Crosby leads business for StockTwits from the New York headquarters, focusing on strategic partnerships in media and financial services. Previously he lead research for Breakingviews, the financial column of Thomson Reuters. He has additionally held roles as consultant and executive producer. Java EE Microservice platforms - which is best? As a consultant, people ask "which is best?" all the time about all kinds of tools and technologies. The answer is always an unhelpful "it depends..." because there is never an objective answer. Really, a better question is "which is most appropriate?" This talk will investigate 3 ways of creating microservices in Java and compare and contrast the ways they work and the features they provide. During the presentation I'll analyse Spring Boot, WildFly Swarm and Payara Micro ( with honourable mentions to Tomcat and embedded Jetty), go through the available options and demo the features/shortcomings of each. 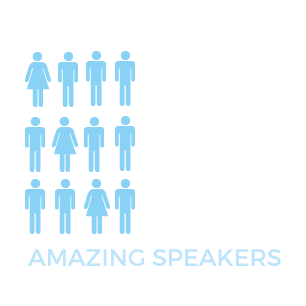 Mike has extensive experience in working directly with customers and their middleware. 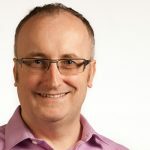 He began his career at IBM, supporting WebSphere ESB, and now works with all Java middleware products from GlassFish through Oracle WebLogic to Apache Tomcat. He specialises in Java EE application servers and enjoys hacking new, bleeding edge technology. Mike loves community focused software and will ask anyone who will listen to contribute to Payara on Github. He is happiest when he's outside; running, climbing trees, climbing mountains, snowboarding back down mountains, or just spending a worrying amount of time on puzzle games. BUX is creating a whole new stockmarket trading experience by combining concepts from gaming, mobile messaging and trading. We do this with a very small team consisting of 3 mobile and 3 backend developers. By combining more traditional technologies used in the financial world (Debian, Java, Spring Framework, FIX) with a modern Reactive Architecture leveraging the power of technologies such as Cassandra, ElasticSearch and ElasticActors we are able to release our product bi-weekly to the Android and iOS platforms. In this presentation I will talk about the Reactive Architecture that we have built for our backend services. I will touch upon the communication protocols we use for our client / server communication but this talk is centered on backend technologies. Should be interesting for Architects and Backend developers, not necessarily from the FinTech world alone. As JAX Finance is co-hosted with JAX DevOps I'll throw in some DevOps as well! BUX is a mobile only stock trading app that aims to make it really easy to play the stockmarkets. Everybody starts with virtual money (funBUX) and it is possible to upgrade to a real money (seriousBUX) account. The app also has an extensive social layer that allows users to compete and interact with each other. BUX is currently available in the Netherlands, the UK, Germany and Austria and has signed up 300.000 users since it launched in September 2014. Do you need to transform your business, deliver faster and better? Confused by all the buzz words and hype or how any of it can help you or your teams? Come with us as we take you on a whistle-stop tour of how we changed our relationship with development from “them and us” to a collaborative DevOps partnership. We’ll share the technologies we introduced (OpenStack, Docker, Jenkins, UCD…), the lessons we learnt and the rewards we are reaping. 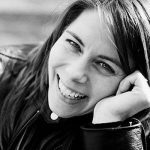 Caroline Emmins is a senior software engineer at IBM‘s UK Development Lab where she is currently a lead engineer for the Cloud and Development Platforms Group. During her 15 years with IBM she has helped develop many different technologies, from their Java SDKs to new SaaS offerings. She’s an automation specialist with a passion for technology, who for the last 18 months has been part of the team building IBM’s world-wide private developer cloud and the pipelines utilising it. When she isn’t playing with computers she is usually laughing at the antics of her dog, Molly. Software Engineer with a focus on DevOps, Agile and software development technologies. He has a penchant for mentoring and helping others get the most from their careers. Starting in a greenfield project, there are many choices for configuration management and orchestration. Three years ago, we introduced SaltStack in consulting a startup company. Over the years, a diverse set of tools was integrated into our continuous integration and delivery stack to efficiently manage the growing local and cloud infrastructure. In this talk, we will discuss the evolution of our CI/CD pipeline, managing complexity and knowledge in the cross-functional team as well as pitfalls and opportunities that arise using modern tools. We will present key aspects of our fully automated cloud deployment not only enabling our customer to perform rapid releases but also keeping the DevOps team happy. FastData & Analytics - SQL, NoSQL, IMDGs, Hadoop, Spark - What next? Twenty years ago we were just learning how to hook up the new Java language to our relational database to run queries. Five years later and the first IMDGs are starting to appear on the scene and things get faster. Another 5 years and we get NoSQL, finally we can get rid of the ORM, NoSQL works nicely with IMDGs too. Then comes Hadoop and for some bizarre reason we start to see ORM coming back - something’s wrong. Spark has made some improvements over Hadoop but where are we now with this mess? John will explore the data aggregation and analytics scene, where should you be going, how do these technologies fit and where the future might lie. Some coverage of the technologies combined with a little code and a demo of some very high performance in-memory analytics. John Davies C24 Technologies Ltd.
John is co-founder and CTO of C24, a London based fast data company specialising in high-volume, low-latency complex messaging. With customers including many of the world’s largest investment banks, C24 provides data optimisation for standards like SWIFT, ISO-20022, FpML and FIX as well as proprietary formats. C24 has recently released a new data optimization product - PREON - that creates highly optimized binary versions of these complex messages reducing memory and network usage by over 20 times, while significantly increasing performance. John has been global chief architect at JP Morgan, BNP Paribas and was the original architect behind Visa’s V.me (now Visa Checkout). 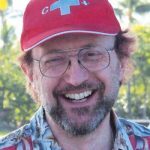 John has co-authored several Java books and is a frequent speaker at technical and banking conferences around the world. He is married to a French wife and has 3 boys (12, 14 & 17) who all love travelling (as long as there’s internet). Open Bank Project is an open source API for banks. In this session we'll cover the project's aims, principles and technology. We'll explore the API catalog, how developers can consume the REST APIs and how integrators can connect to core banking systems. (https://hub.docker.com/r/openbankproject/obp-full-kafka/) demonstrating how disparate core banking services can be surfaced consistently for the benefit of developers, banks, their customers and society at large. 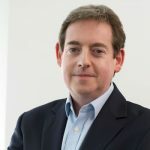 Simon Redfern is the CEO of TESOBE and founder of the Open Bank Project. He is a seasoned technologist with over 25 years experience in IT. 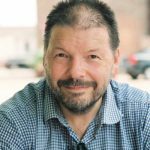 He studied electronic engineering in Manchester in the early 80's focusing on realtime programming and digital systems, followed by relational databases and then the web in the early 90's. 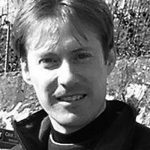 Since then, Simon has worked as a software developer, architect, CTO and DBA on numerous web based platforms. Always keen to explore emerging technologies, Simon is also a composer / musician and enjoys interdisciplinary creative collaborations. He is a keen supporter of open source and open data believing they are a sustainable force for social good. He is @simsysims on twitter. As operational failure becomes more acceptable to discuss within the software and IT operations industries, the necessity for holding constructive, actionable postmortems increases. But most of what we know about postmortems from "pop culture" isn't actually useful for the software systems we work on and within. In this talk, we'll walk through postmortem techniques, pitfalls, and tools that you can take back to your own environments so you will be able to run healthy, productive postmortems which produces actionable outcomes and helps the company to move toward a so-called "learning organization." The Java 8 release takes Java to a whole new level. Learning the new features is just the first step. The real question is how to make best use of them. There won’t be too much time in this session to introduce the new features, so you’ll need to know what lambdas and method references are in advance. Instead, the focus will be on how coding in Java 8 differs to previous Java versions, and how to avoid going too far with the new goodies. Join me for an opinionated session of best practices. 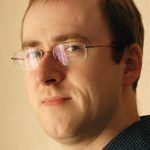 Stephen Colebourne is a Java developer, blogger and open source enthusiast known for his work on the Joda projects date and time in Java 8 (JSR-310) and the Java language. He is a Java Champion and JavaOne Rock Star speaker. He is currently working at OpenGamma, bringing open source transparency to the finance industry. 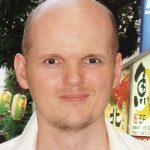 Debugging is a necessary evil, and C++ in particular has a reputation for being hard to debug. The finance industry adds some additional pressures of its own. Despite this, why are some people so much better than others at finding and fixing bugs? Are they just lucky? I believe the art of good debugging can be learned - but there are also things we need to unlearn as well. In this presentation we will look at some of the characteristics that prevent us debugging C++ programs. Overcoming these problems will help us fight more successfully against the bugs we encounter. While the primary context is programs written in C++, the principles are applicable to many programming languages and expert knowledge of C++ is not assumed. Roger is a contract computer programmer with over 30 years experience of IT in finance. His current work is in the low latency space, mainly working in C++ on Linux. Roger chairs the UK C++ panel and represents the UK at the ISO C++ working group. He is on the committee of ACCU, "an organisation for anyone interested in developing and improving programming skills". Join this session to learn how to create a Java-based microservice using Spring Boot, containerize it, and subsequently deploy a fleet of microservices and dependent components such as Redis using Kubernetes. First, we’ll go over how to get started with Spring Boot, and, subsequently, using Docker and/or Maven plugins to generate and create Docker images during the build process. Next, we'll push the container into a container repository. The best part is – we can visualize all these activities happening in Kubernetes.  Java reflection allows us to peek inside objects that we don't know, find their classes and then call methods and set fields. Great, but how can we use this practically in the "real world"? In this talk, we start by showing how we find performance bottlenecks in Java using a profiler. We check if the profiler has found the mother lode by looking at the objects with reflection. In our first example, we profile an open source tool that exhibited CPU bound performance issues. We discover a typical bad coding paradigm and use Java reflection to test whether this bottleneck could be eliminated with a better hashing mechanism. Our second example is a look at the new Java 8 hash function inside HashMap. Debuggers hide the gory details of a HashMap from our prying eyes, so we use reflection to output the contents of the array of buckets. This shows us essential data about the effects of the new hash function. Java 8 HashMaps can perform 3x slower than previous versions! Using reflection we show why that is. This talk is mostly live coding, with a few slides explaining how we find performance bottlenecks quickly. High-Frequency Trading (HFT) and low-latency trading are becoming one of the few preserves of C++. The fact that it is amenable to extensive optimisation, including micro-optimisations, has made it highly effective, some of the major trading systems are hybrid FGPA/C++ solutions or native C++ solutions. This talk shall provide an analysis of some micro-optimisation techniques that have been successfully used, but also an investigation of the pitfalls that may arise. For example: Performance anomalies lead to a discovery of quirks in generated assembler due to different compiler versions. Exactly what is static branch-prediction, and how is it (ab)used? Why is counting the number of set bits of the remotest interest? And the "curious case of the switch-statement" will be investigated. Jason is a contract programmer in C++ on Linux. 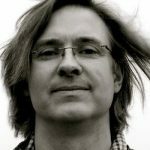 With over 15 years experience, including programming prototype super-computers, but mainly in finance, now focussing on low-latency and HFT software and architectures and the issues arising from them. He is also actively involved with the UK C++ Panel and the ACCU to maintain my skill-set. 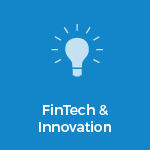 We are in the middle of a "fintech" revolution right now with much interest in the finance domain and how we can use technology to disrupt both incumbents and business models. This is even a conference about developing software in the finance domain. The question begs then, what makes finance special, if anything? And if it is special why do we care and what can we do about it? Finance isn't just about developing technology with a few rules and regulations, it's about the complex interactions between people and systems and the events that have helped shape the global economy over the past decade. It's also a domain of contradictions. Corporations that drive the industry and help shape the technology are often hugely resilient to failure allowing bad practices to outlive their natural life. Similarly failure, when it does come, can be very costly, even catastrophic, with technology providers directly culpable. Developing effectively in the domain of finance requires an appreciation of the wider context of the domain, where it is today and where it will lead in the future. Armed with that knowledge, and an understanding of why it's hard to develop effectively in a domain with hard, ever changing constraints it becomes possible to explore approaches that can help make sense of it all. One of the biggest problems encountered in finance is the mapping from some regulatory obligation all the way through to lines of code that actually provide that. This talk will look at the problem of finance, where we are today, how we got here and how we might make sense of it all. Along the way we'll ask what things stand out and perhaps a pattern will emerge. Hopefully it will become clear that finance is challenging, but also rewarding. We get to solve real, hard problems with little room for compromise and get to push our tools and languages to their limits, in some cases driving their evolution. 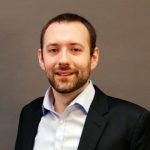 Currently Director of clearpool.io – https://clearpool.io – Jamie is leading the development of a next generation exchange platform targeting MiFID II and emerging economies. Previously at the NYSE he was responsible for their market data platform and next generation projects. Impacted by the Flash Crash in 2010 he acted as a technical witness to the SEC. A member of the BSI C++ ISO Standards Panel and previous co-author of a best seller on C++ he enjoys getting his hands dirty in code. Recently he open-sourced cuppa, a python Scons-based build framework to simplify building complex C++ systems. 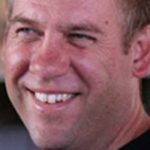 Passionate about agile development, and a long time speaker on the topic, he particularly relishes helping distributed teams embrace agility. The MiFIDII regulations seek to impose a level of record keeping accuracy that is unprecedented in any financial market. This talk will start with discussion of the underlying drivers that lead the regulators to these requirements. We will look at the resultant legislation, and how the words manifest in technical requirements through the entire tech stack from network to application. We will examine how time is typically propogated through IT infrastructure, the easy wins and the potential pitfalls. We will conclude with a look at perhaps the least well known aspect of time propogation, that which inside the computer, from hardware clock to application timestamp and suggest a method for providing the required evidence that the time you are about to log is, in fact, the correct time. Neil is a director and technical architect in Global Markets IT for Credit Suisse. A “ZX child” he is a dyed in the wool geek, innovator and technology advocate. Neil is active in a number of industry forums, standards committees and initiatives. 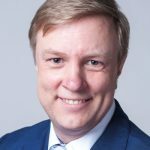 His primary focus is market connectivity where low latency approaches to problem solving are key. 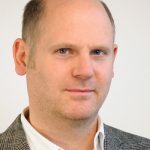 Neil’s involvement in MIFID2 extended from experiences dealing with the German Algo Tagging legislation, moving on to provide a technical slant to the AFME MIFID2 working group, where he co-authored much of the response on clock synch concerns. 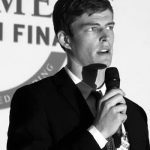 He is currently co-chair for the FIX working group on Clock Synchronisation, looking for a standards based solution to the industry’s needs around clock synch, traceability and record keeping. Blockchain - Disruptive service or just another buzz word? By now you’ve probably heard of BitCoin, the famous crypto-currency. Most people are aware that the critical foundational technology supporting BitCoin is called blockchain, which is a distributed record of digital events. Marc Andreesen, a prominent U.S. venture capitalist has called blockchain’s distributed consensus model as the most important invention since the Internet itself. But how does BitCoin relate to blockchain and why are global banks investigating the use of blockchain in their applications? What problem does blockchain solve, what technologies does it use, why should you care? Why are a variety of industry sectors interested in this mechanism? 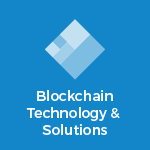 John will provide valuable information on blockchain, related technologies and implementations for you to make up your own mind. Explanations of how it works, who’s using it today, who might be interested in the coming months/years and why what it may mean to you. Modern operating systems are complex beasts, responsible for sharing hardware resources between many competing programs. For low-latency systems, sometimes it's necessary to subvert the OS to grab back the resources your program needs. In this talk, we will explore what is actually going on when you run a program, how much time it actually gets on CPU, and strategies to help make your code run as fast as possible. By the end of this talk, you will know how to tune your software and the Linux kernel to get the most from your hardware, and more importantly, how to validate that your changes have worked. Mark is a Senior Developer at LMAX Exchange. He has been working on low-latency systems for over 10 years. Mark has helped the LMAX technology stack mature from start-up level to its current form. 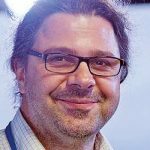 Along the way, he has specifically focussed on the limits of Java performance and the interactions between the JVM and its host operating system. System security in capital markets has moved from being something that was considered to be fairly important to being a criticial item of interest to regulators. Today regulators are no longer happy with vague assertions about security being important to us but want to see evidence of security knowledge and practice right through the development lifecycle. However system security is a specialised domain and it can be hard to know where to start when trying to understand it. The result is that most developers think about security in terms of security technologies that they want to apply to their systems, when in fact to build a secure system, you need to start from the things that need to be protected and the threats to those resources. In this session we’ll explain the security techniques and approaches to do just that. 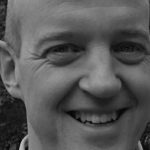 Eoin Woods is CTO at Endava, the European IT services company, an author, a conference speaker and an active member of the London software engineering community. 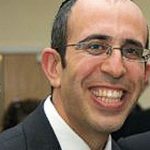 His main technical interests are software architecture, distributed systems and computer security. 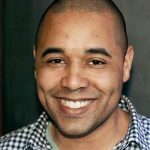 In this talk Mike McGarr, manager of Netflix Developer Productivity, will share with you the reality of working at Netflix. I’ll share details about how people work at Netflix, how we communicate, how we are organized, how work is prioritized, how we manage risk, how we build teams and how our culture plays a central role in everything we do. Lastly, Mike will share what are the important lessons that every manager and executive should learn about Netflix’s culture. 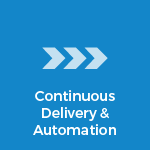 Continuous Delivery is still trendy and everyone wants to get there, but there are so many walls you have to break and nerves to spoil! 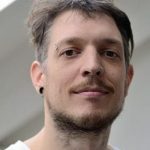 In this talk Eduards will present real-world battle stories of continuous delivery adoption, eight underlooked things that tend to go wrong and what practices can you apply in order to survive. 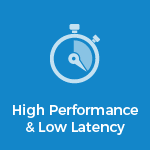 Low latency applications require you to care about latencies that are way too small to be observed by the naked eye. This raises some interesting technical challenges as to how to measure and resolve performance at the 'quantum' level. For example how do you try and resolve a latency spike where a measurement is ten times higher than average, once in a thousand times - but even that spike is less than 1/1000th of a second? How do you even measure this sort of behaviour? In this environment you can't just ignore your OS and hardware so you will need to be able to differentiate between the root causes of your latency spikes. In this talk Peter and Daniel will address these issues and others concerning low latency Java programming in the context of the real world work they have been doing with Chronicle-FIX. Chronicle Software have over the past year added a new product to their suite of ultra low latency Java solutions. Chronicle-FIX builds on their open source libraries such as Chronicle-Queue, Chronicle-Map, Chronicle-Network and Chronicle-Bytes to create a fix engine suitable for high frequency trading applications. Daniel has been programming in Java since it was in beta. He has spent the majority of his 20 year career building real time financial applications. He is author of the blog www.rationaljava.com and guest lecturer at UCL on low latency programming. He is currently a director at Chronicle Software the company behind the open source Chronicle libraries which support ultra low latency programming in the HFT arena. 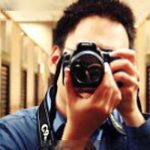 His current focus is as lead developer on the Chronicle-FIX project. 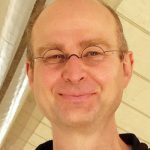 Peter Lawrey has the most Java answers on StackOverflow, he is the founder of the Performance Java User's Group with over 1000 members, and the lead developer of OpenHFT, open source software used by Investment Banks, trading houses, and hedge funds. In this session we shall look at some of the practical challenges in meeting the needs of compliance as it pertains to BCBS 239, MIFID and CCAR. All of these regulations are dominated by a need to demonstrate fidelity of data and process. In the case of BCBS 239 it is almost at a forensic level of showing data lineage and presenting it in terms the business and regulators can understand. In the case of CCAR it is showing the fidelity of a model that is stress tested against different market parameters and for MIFID it is both process and data. In the last 5 years progress has been made in areas such as process mining and in harvesting data lineage. Coupled with semantic web technology now seen in the EDS’s Fibo standard and coupled with XML grammars such as XBRL (Business Reporting markup language) it is possible to deploy a tool chain and a supporting process to automate much of the gathering and initial analysis of data about data and data about running processes and forensically piece it all back together. Stitching in Fibo like glossaries takes us further in meeting the need for business relevance and at the same time ensuring timely delivery of compliance reports. In this session we shall look at examples of these tools, demonstrate some of them and show what such a tool chain might look like in practice, how it can be used and what changes in terms of the data and process governance required to wield them in order to deliver something close to STP for compliance. As a note to the future space we speculate on the role of blockchain as a system of records that could be established by regulators and banks alike to ensure trust between all parties is forever maintained. And we shall look at the relevance of forensic automation to help automate digital transformation from legacy to more modern architectures such as micro-services and the impact on delivery cycles and budgets. The session will dive into some of the technical nuances that face us.